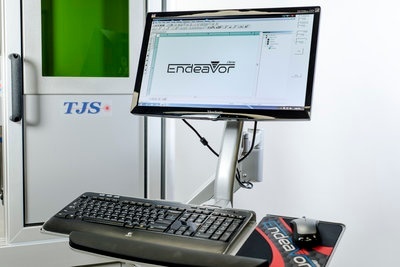 TJS Lasers is proud to introduce the Endeavor J-Series fiber laser system. 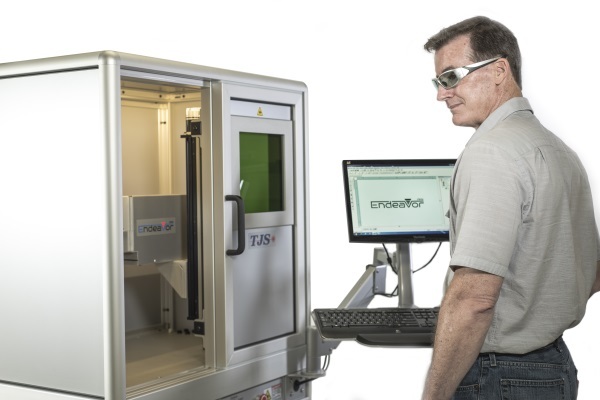 This new fiber laser system is inspired by our 35+ years of experience servicing and repairing lasers in just about any environment. This fiber laser system represents our endeavor to bring our customers the best fiber laser system available anywhere. We did not just want to copy other laser systems but design, engineer, and build one that we can be proud of in terms our commitment to detail, product reliability and overall long term product quality. We thought through the details, the little things that users don't think of but that our experience tells us make a difference on the floor. We know what causes laser systems to fail when you need them most and we know how to build them so that they don't fail. That has been the reason for our success over the past 35 years, we keep our customer's laser running at optimal performance so they can get the job done. 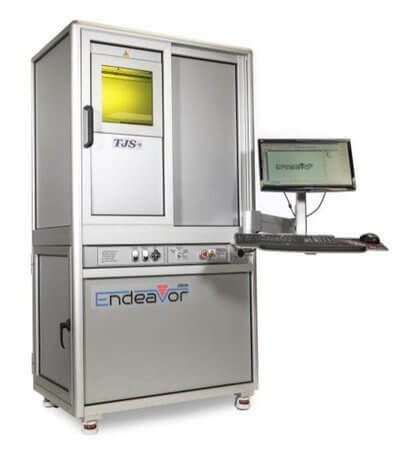 Endeavor J-Series MOPA Fiber lasers are available in 20W,30W,50W & 70W Air-Cooled systems, include visible “RED” laser for part alignment and pre-mark preview. I.R. (1.064nm) and Visible (.532nm) systems are available. 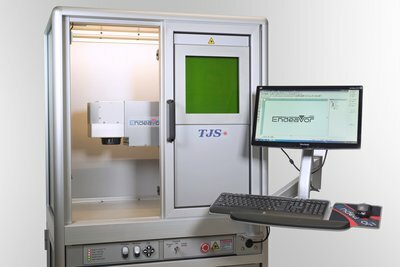 All Endeavor J-Series Fiber laser have a modular design for simple maintenance and support and include a 3-Year Warranty (fiber laser only). Ergonomic, contemporary Class 1 Workstation manufactured from high quality U.S. materials incorporating many enhancements as standard features, includes large 11” x 11” operator laser safe viewing window. 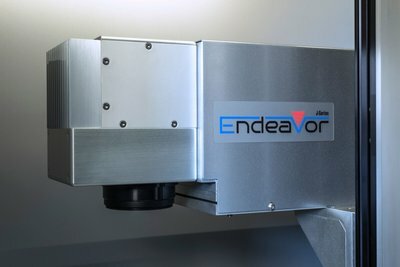 The Endeavor J-Series Fiber laser is built on a large 36” x 24” work platform on a sturdy 0.375” Aluminum plate that allows for variety of fixture sizes and additional equipment like rotary indexer or X/Y table. Variety of field sizes available including 45mm x 45mm, 100mm x 100mm, 112mm x 112mm, 205mm x 205mm & 305mm x 305. Custom sizes are available and easily accommodated using our industry leading Endeavor Prolase7 operating system. The Endeavor automated motorized “JOG” Z-Axis. 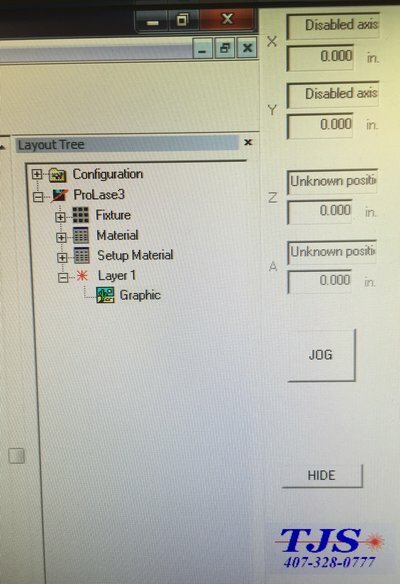 Incorporating our exclusive “incremental step/delay” feature which allows the operator to move Z-Axis in 0.0005” increments for precise movements and focus. Holding the Up/Down button for the factory set duration will take the Z-Axis out of incremental movement and allow the axis to “run” at full speeds in excess of >10,000 steps per second using our proprietary NEMA 23 and NEMA 34 Servo motors and controller kit . Both the High and Low speeds are factory adjustable. The Linear Z-Axis linear slide is a Zero backlash Leadscrew offering 0.00015” (4 microns) repeatability accuracy - typical and comes with two adjustable limit switches. >>> Adjustable monitor, keyboard, and mouse for ergonomic operator use. 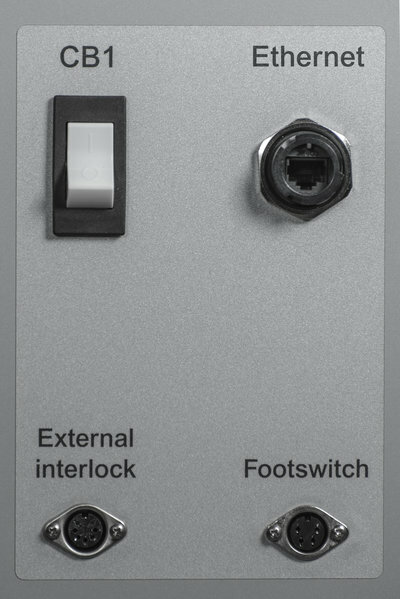 >>> Easy to access and to connect external components input panel for Ethernet, interlocks, and foot switch. 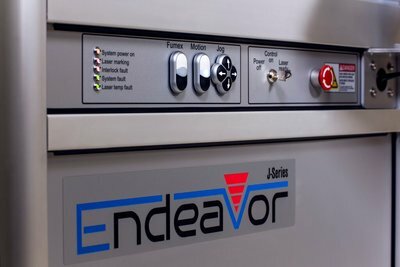 The Endeavor offers remote connectivity for programming, training and troubleshooting. 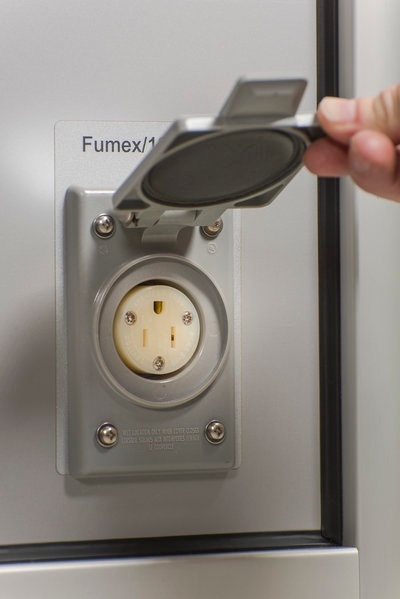 >>> 110 outlet with cover to connect Fumex fume extractor without running an extension cord through a busy work environment. 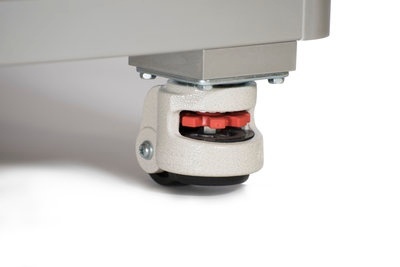 >>> Heavy duty lock and level caster wheels so you can move the system and operate anywhere. 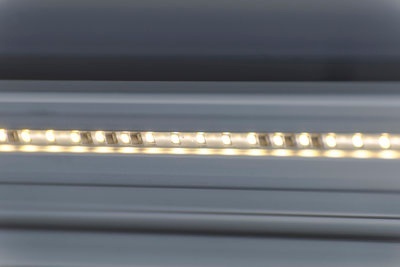 >>> Pre-mounted LED lighting so your work is never in the dark, emitting 2700 Lumens offering homogenous, uniform and energy saving LED Lighting. 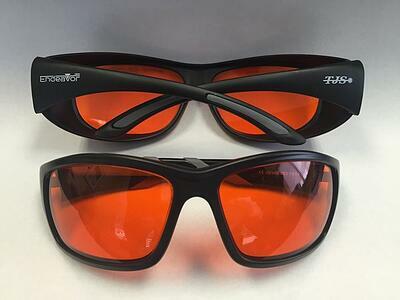 As a courtesy to our customers, we will be including a set of laser safety glasses with each Endeavor J-Series laser purchased. 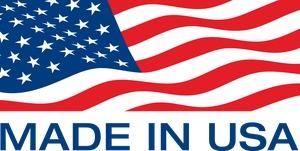 All Endeavor J-Series fiber laser systems are proudly design, manufactured, and assembled in the U.S.A!